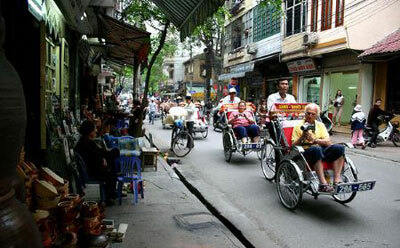 Hanoi tourism is famous for both sightseeing and cooking tours. These cooking package explains the oriental science on the Yin-Yang balance in Vietnamese cooking. Surely, Vietnamese cuisine will make your health condition better. 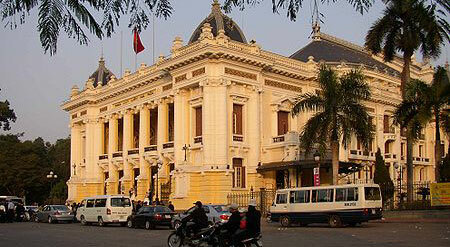 Limited offers for Hanoi tours. Tour name: The spirit of Hanoi. Length of the Tour: 1 day. At the local market you will learn how to choose cooking ingredients with the Yin-Yang balance. Then, our chef clearly demonstrate the recipe and you will actively take part in making Vietnamese cooking dishes. Lunch will be served from all the different dishes prepared during the lession. Hanoi cooking tour is designed for those who love cooking and want to stay healhy by what they eat daily. After the cooking tour, you will be able to cook wonderful Vietnamese cuisine for your family and parties.